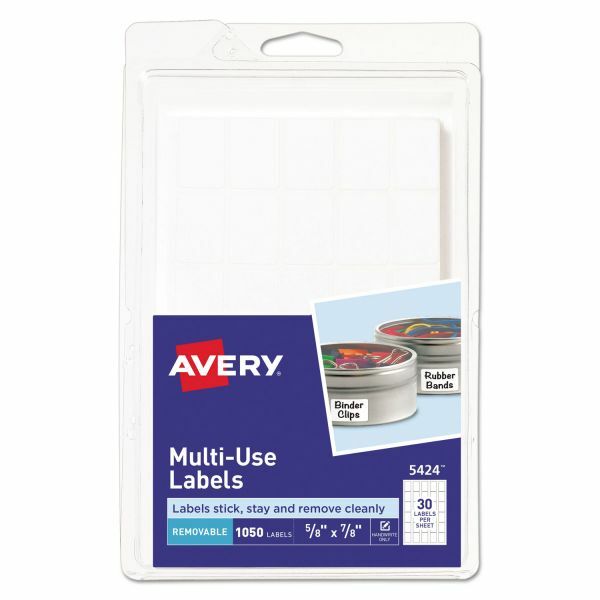 Labels stick, stay and remove cleanly without leaving a residue! 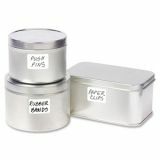 Ideal for containers, boxes, shelves and more. Adheres to smooth surfaces including paper, cardboard, plastic, wood, glass and metal. Easy to customize using free Avery® designs and templates. Note: A minimum quantity of 36 must be ordered, and in units of 18 thereafter. Avery Removable Multi-Use Labels, Handwrite Only, 5/8 x 7/8, White, 1050/Pack - Removable labels feature a removable adhesive that sticks and stays where you want it, but allows you to remove the label easily when you no longer need it. 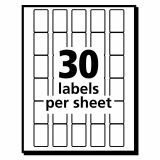 Labels provide a versatile tool for your labeling needs, whether for organization, content labeling, price marking or any other purpose. White background makes your handwritten notes stand out clearly. Labels come on a 4 x 6" sheet."